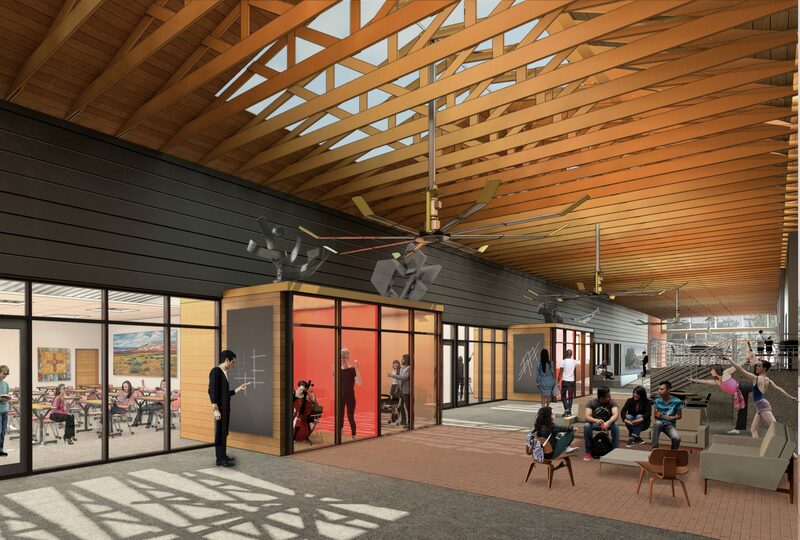 In 2016, Studio SW and Lake|Flato master planned a new 125,000 sf campus for New Mexico School for the Arts (NMSFA) near the Railyard district of downtown Santa Fe. This new campus will allow the school to expand to an enrollment of 300 and will include space for academic, administrative, residential and community use, art studios and a gallery, as well as performance/rehearsal spaces for the dance, music, creative writing, visual arts and theater programs. In 2018, the first phase of construction began with the renovation of the historic Sanbusco Market Center into the main academic and administration building. Subsequent phases will include a dormitory to house the out-of-town students, and the Performing Arts Center.